No one is more welcome at Congregation Or Ami than you! Recognizing that we are all created b’tzelem Elohim, in the image of God, we welcome the lesbian, gay, bisexual and transgender (LGBT) individuals, couples and families in our community. Congregation Or Ami welcomes all Jews, regardless of their sexual orientation or gender identity, as full participants in all religious practices and in the entire community life of the congregation. We also welcome non-Jewish partners of members to fully participate in the life of the community (see our interfaith families webpage). Congregation Or Ami, our Rabbis Paul Kipnes and Julia Weisz, Cantor Doug Cotler, and our Reform Jewish movement welcome you. Congregation Or Ami is proud to be a home congregation for many LGBT individuals, couples and families. We hope you will share in the warmth of our community and contribute your own gifts by joining us. We invite you to begin a conversation with Rabbi Kipnes to share your hopes or questions about being an LGBT individual, couple or family at Or Ami. Congregation Or Ami offers individuals and couples the opportunity to explore their Judaism in a warm, welcoming environment. We work to empower people to make Jewish choices for themselves and their families and we strive to provide resources to inform educated decisions. From our Jewish traditions, we know what it is like to have been a stranger in Egypt and in other places, so in our community, we strive to open our doors for people of diverse religious backgrounds, ability status, sexual orientation, gender identity, and ethnic, racial and cultural backgrounds. Don’t take our word for it. Come to a program or service, talk with Rabbi Paul Kipnes, and you will feel our inclusive welcome. We invite lesbian, gay, bisexual and transgender members, whether single or as a couple, with or without children, to join our community, using the same membership categories applicable to all other members. We also welcome LGBT families (including children with LGBT parents, and grandparents with LGBT family members). While you should spend time first getting to know our congregation, we want you to know that same-gender couples, including interfaith couples, with or without minor children, are encouraged to join as a household with a family membership. Single parent memberships are available for parents without partners. Associate memberships are available for those who concurrently maintain primary membership in another Jewish congregation. For more details, please see our membership page. We support our LGBT members who choose to sanctify their unions with a wedding ceremony. Prior to these ceremonies, couples are encouraged to celebrate an aufruf with the community at Shabbat services. All members and their children are entitled to the services of Congregation Or Ami’s rabbi and cantor on an equal basis for the purpose of sanctifying the holiness of their relationship with a religious ceremony. In determining whether to perform a ceremony, our clergy utilize the same criteria for same-gender or opposite gender weddings. Without the legal protections of civil marriage, same gender couples need to take extra steps to protect their relationship and family. Rabbi Kipnes and Cantor Cotler understand this and can help you address these issues. Begin a conversation with Rabbi Kipnes or with Cantor Cotler about your questions around your plans to get married. LGBT members are encouraged to celebrate milestones in their lives, including anniversaries and birthdays, during our monthly anniversary/birthday blessings services. Congregation Or Ami also supports its members during times of sickness and death. We celebrate and support all members, lesbian or gay or bisexual or transgender or heterosexual, as their life cycle events and transitions are shared with the congregation. All LGBT members who adopt or give birth to children are encouraged to bring their children into the Jewish covenant through public rites of Brit Milah for boys and Brit Bat for girls. Our clergy officiate at such ceremonies for both boys and girls.Begin a conversation with Rabbi Kipnes about your questions celebrating your milestones. 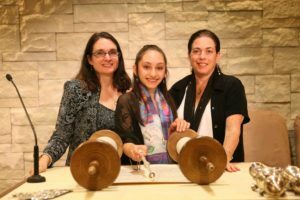 For those with children: Because you have decided to raise your child as a Jew, we at Or Ami strive to ensure that the Bar/Bat Mitzvah experience is welcoming to all members of your family. We invite all parents and partners to participate fully in the service, from the ceremony of passing Torah down through the generations to standing up at the Torah during the aliyah (Torah blessing) to the opportunity to bless your child. Our creativity allows family members of other faiths to help celebrate your simcha (joyous moment) as well. Begin a conversation with Rabbi Kipnes about your family’s questions about Bar/Bat Mitzvah. Or Ami is committed to making the Mishpacha, Kesher and Triple T (Tracks for Temple Teens) learning programs welcoming and comfortable environments for children of non-traditional families. We commit ourselves to educating the children in a way that fosters acceptance of diversity. All programming in the Mishpacha, Kesher and Triple T programs, for both children and families carry the same expectations and privileges for participation and involvement for families of every constellation: single parent, two parent, divorced, blended, multi-faith, LGBT, and others. Going back to 1965, the Reform Movement has a history of supporting LGBT issues including religious inclusion, admission of gay and lesbian students to seminary, and equal marriage. In 2007, the Union for Reform Judaism Press published Kulanu: All of Us ? A Program and Resource Guide for Gay, Lesbian, Bisexual and Transgender Inclusion. An excellent summary of the Reform Movement’s history of lesbian and gay inclusion, see Rabbi Denise L. Eger’s chapter “Embracing Lesbians and Gay Men: A Reform Jewish Innovation” (a chapter in Contemporary Debates in American Reform Judaism: Conflicting Visions). 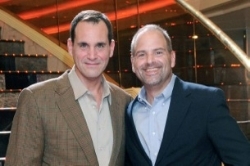 The Jeff Herman Virtual Resource Center (JHVRC) is a web-based educational environment that contains over 500 resources for all those interested in learning about Judaism, Sexual Orientation and Gender Identity. The LGBT Personal (Individual) and Family Resources section of the JHVRC offers individuals as well as families information from a variety of LGBT organizations to support LGBT lifecycle issues such as coming out as teens or adults, finding support as parents or siblings, parenting, aging and more. Institute for Judaism and Sexual Orientation at Hebrew Union College-Jewish Institute of Religion (HUC-JIR) has mission to achieve complete inclusion, integration and welcoming of LGBT Jews into congregations and communities. They develop curriculum and programs in the community as well as train HUC-JIR students on lesbian, gay, bisexual and transgender issues, on how to challenge and eliminate homophobia and heterosexism and to learn tools to be able to transform the communities they encounter into ones that are inclusive and welcoming of LGBT Jews. The World Congress of Gay, Lesbian, Bisexual, and Transgender Jews: Keshet Ga’avah – A coalition of over 65 member organizations from 12 countries representing the interests of gay, lesbian, bisexual and transgender Jews. Sign up for their free e-newsletter with LGBT news from all over the world. Torah Queeries, a joint project of Jewish Mosaic and the World Congress of GLBT Jews is a weekly creative and incisive LGBT take on the Torah portion or Jewish holiday, brought to you by some of the Jewish world’s most dynamic scholars, rabbis, activists and lay leaders. We thought that these were a few interesting books, films and articles on being Jewish and Lesbian, Gay, Bisexual or Transgender. See quite a few more at the Jeff Herman Virtual Resource Center which is always adding new descriptions of books. If you have one that you would like to recommend, let rabbipaul@orami.org know. The Wedding: A Family’s Coming Out Story by Douglas Wythe/Andrew Merling & Roslyn Merling/Sheldon Merling (AvonBooks 2000). This true story of a wedding is told from four different viewpoints: the two halves of the gay couple, Douglas Wythe and Andrew Merling, and Andrew’s parents, Roslyn and Sheldon Merling. While the family is Conservative Jewish, it is completely applicable to Reform Judaism as the family experiences the upcoming wedding of their Jewish son, living in New York, with an initial degree of shock, then settles in to go through the steps necessary to come to terms with all involved in accepting a gay marriage. In a close-knit community, each phase of the wedding presents a unique set of compromises and lessons learned.